Pierce Quaghebeur received his Bachelor of Commerce (with Distinction) in 2012 from the University of Alberta, and his Chartered Accountant designation in 2015 after articling with a large international professional services firm where he focused on providing audit and assurance services to entities of all kinds. He received his Juris Doctor from the University of Alberta in 2018. While obtaining his law degree, Pierce spent a summer working for the legal department of a large local not for profit corporation dealing primarily with corporate governance matters. He also acted as the volunteer coordinator for the Pro Bono Students Canada Tax Advocacy Program. In his spare time, Pierce is involved with a number of hockey teams. He also enjoys running, golfing, travelling, and exploring all the great locally owned restaurants Edmonton has to offer. Duncan Craig LLP is pleased to welcome two new articling students to the firm: Brett Rooney and Pierce Quaghebeur. 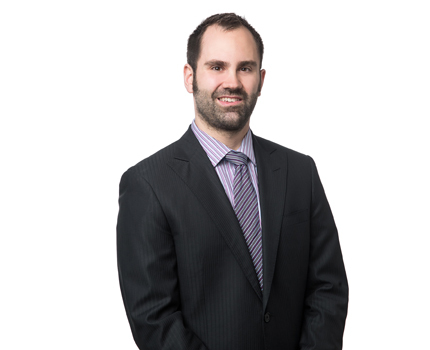 Brett received his Bachelor of Commerce (with Distinction) from the University of Alberta in 2015, and his Juris Doctor from University of Alberta in 2018. He was a summer student at Duncan Craig LLP in 2016. In the summer of 2017, he worked for an Alberta government-based organization in their legal department. In his spare time, he enjoys playing basketball, hockey, slo-pitch, and golfing. Pierce received his Bachelor of Commerce (with Distinction) in 2012 from the University of Alberta, and his Chartered Accountant designation in 2015. He received his Juris Doctor from the University of Alberta in 2018. In his spare time, Pierce is involved with a number of hockey teams. He also enjoys running, golfing, travelling, and exploring all the great locally owned restaurants Edmonton has to offer.